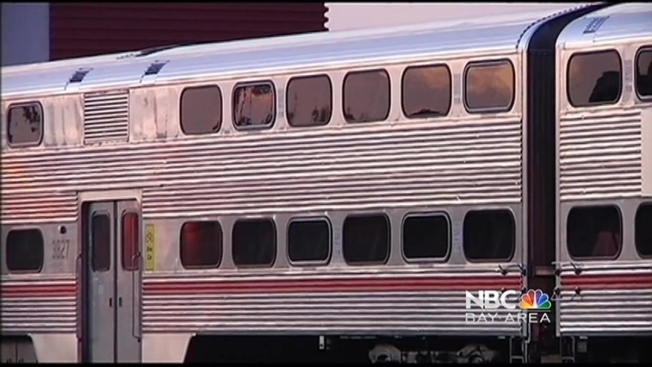 A South Bay woman is calling on Caltrain to make changes after she fell asleep on a train and woke up alone in a maintenance yard. The March 14 incident was the second time a passenger was left alone on the San Francisco Bay Area commuter line in four months. Jessica Method said she took the train after having a big dinner with friends. "I wanted to go to sleep and some of my friends were staying out in the city," she said. "And I honestly just wanted to get home." Method's ride was supposed to end at the San Jose Diridon Caltrain station. Instead she fell asleep, missed her stop and ended up 1.5 miles away at the end of the line. The passenger said when she woke up past midnight she was on an empty train in the maintenance yard. "I realized there was no one around, so I panicked and then I kind of yelled for help," Method said. "I said 'help!' Is anybody there?'" Method's cell phone's battery was also drained. "I started to break the emergency glass for the fire extinguishers and emergency stop valves, hoping it might sound some kind of alarm," she said. At that point, Method said she ran to the front of the train to where the conductor's controls are and got on the train's radio to call for help. She is now urging Caltrain to make changes so the incident does not happen again. "I just think it needs to be very, very stressed and mandatory that the trains need to be checked several times because it was OK for me, but it could have been really bad," Method said. "And just as they are very diligent about checking tickets, they should just as diligent making sure no passengers are left." Method said she reported the incident on Caltrain's website and Facebook page. Caltrain spokesperson Jayme Ackeman called the incident embarrassing. "We want people to feel safe. We want them to feel like they are being watched over when they are on our system," Ackeman said. "We don't want anyone to feel that they might end up locked in a maintenance facility. So this is something we are going to take serious measures to address." Method said she would like to see emergency call boxes put into the trains. But Caltrain said that would cost taxpayers millions of dollars. "The employees involved were subject to disciplinary action of course," Ackeman said. "But we are also going through a retraining effort for all of the employees who are responsible for what we call securing the train at the end of the line."